Over the course of the 2017-2018 season, we learned a great deal from the Curling I/O pilot program. Much of it involved the functionality around league bundles, discounts, membership fees, and just generally the curler registration experience. Version 2, or "V2," is our first major release that incorporates those lessons; it also gives us an extremely flexible platform to build future features upon for the seasons to come. A common request was for the ability to implement multiple conditional fees, and to optionally have some of these fees take the curler’s age into consideration to determine which fees are applied and when. The new V2 fee system allows you to create as many fees as you like and to restrict them to only apply when matching specific age ranges. $30 adult membership fee that applies only to members aged between 19 and 65. $15 junior membership fee that applies only to members 18 and under. $20 senior membership fee that applies only to members 65 and older. $50 building maintenance fee (no age restriction). You may also now add tax to fees selectively. Like the new conditional custom fees, V2 introduces conditional multi-league discounts, offering far more versatility and scenarios than before (e.g. different discount percentages applied to a curler’s 2nd and 3rd leagues or season-spanning discounts for curler’s who register for additional leagues partway through the season in a subsequent transaction). $10 off for members under the age of 16. 20% off for members over the age of 65. 15% off your second league during the same season. 50% off your third or more league during the same season. 5% early bird discount if you register at least 30 days before the league registration closes. Your curlers will now be able to purchase more than one league, competition, and product at a time. They can even purchase the same leagues for multiple curlers (e.g. for family members). In addition to league and competition schedule / team information, we’re now offering an optional "minimalistic" website hosting package for clubs that lack, or feel overwhelmed building their own. Pages: Create and add as many pages as you like (only one image allowed per page). Articles: Create and add as many articles / blog posts as you like (only one image allowed per article). Contact page: Contact information shown alongside a Google map of your club’s location. Leagues, Competitions: Registration option as well as schedules, teams, standings. In V2, you no longer need to “wrap” leagues and competitions within a “product” in order to accomplish different conditional prices; now, you simply provide pricing and registration information directly within the league or competition. No more “wrapping” required. You can now add custom fields to your member registration forms and ask them to provide whatever information is necessary for your club. I.e. “Where did you hear about us?”, “Interested in our newsletter?”, “Please list any allergies you have”, “Last name of your cat? (Bigglesworth)”, etc. Taxes are based on your club’s province setting, and can be optionally applied to any of your leagues, competitions, or products. 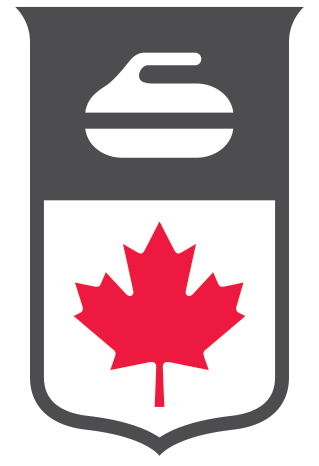 Curler profile requirement is now optional for competition and product registrations (though still required for leagues). Better responsiveness on mobile devices and tablets. Fee-specific reports, so you can see exactly what was collected for a specific fee (e.g. a member association fee) without having to keywords search. Simplified payment processing setup process (Stripe). Real-time tax calculations when editing league, competition, or product prices. One-click refunds of specific order items (i.e. partial refunds). Editable curler profiles (i.e. club managers can add and edit them). Curler Import: bulk-add existing curlers from a spreadsheet (specific CSV format is required). Age range restriction criteria for league registrations. For example; preventing adults from registering for a junior league and vice versa. Lineup information requirement options (e.g. “Don’t ask,” “Names are optional,” “Names are required,” or “Both names and emails are required”). You can exclude some of your curlers from paying certain fees. This can be used to exempt lifetime members, shareholders, and honorary members.